Ya Ya Creations Lime Beaded Acrylic Round Charger Plate 13"
Home > Products > Ya Ya Creations Lime Beaded Acrylic Round Charger Plate 13"
A beautiful serving piece for your dinner table, the Ya Ya Creations Lime Beaded Acrylic Round Charger Plate 13" is perfect for themed wedding receptions, engagement dinners, and other formal affairs. 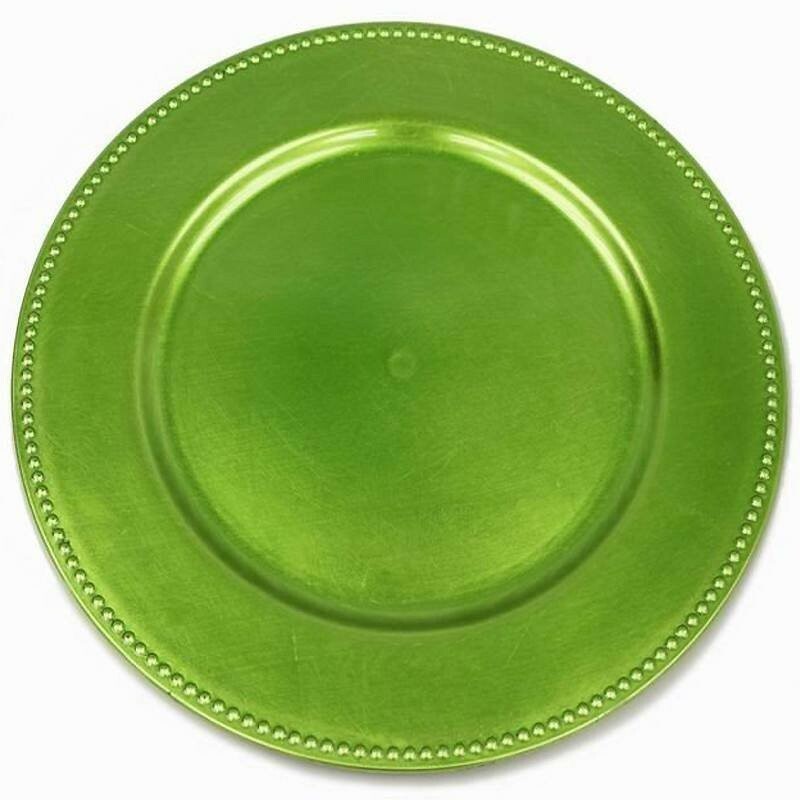 Boasting a delicate-looking bead rim with a vibrant lime finish, this charger adds visual flair to any table setup. Thanks to its premium quality acrylic construction, this exceptionally durable piece provides superior craftsmanship for years of use. Perfect for multi-course meals, this charger is large enough to accommodate standard size plates while providing protection against spills and mess.